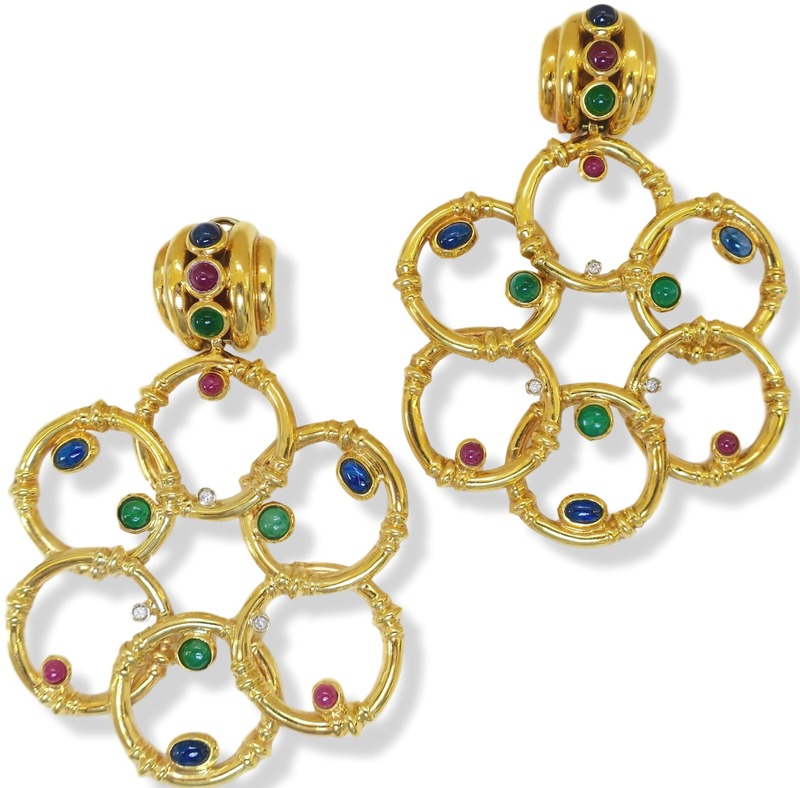 Substantial pair of multi-gem dangle earrings by Uno a Erre. 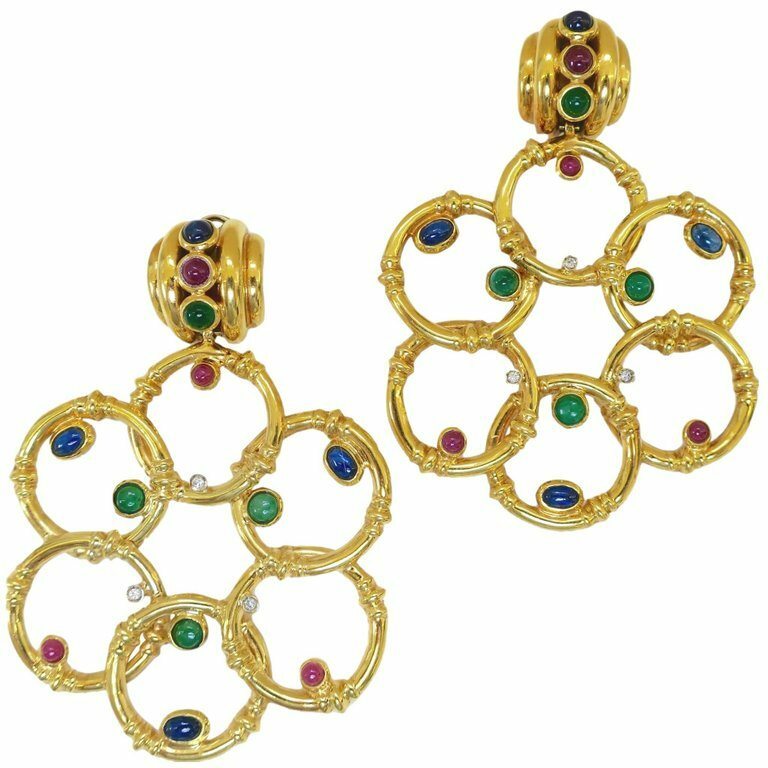 The 3″ x 2″ 18k yellow gold french clip earrings made in a concentric circular design with cabochon ruby, emerald and sapphire and diamonds accents. 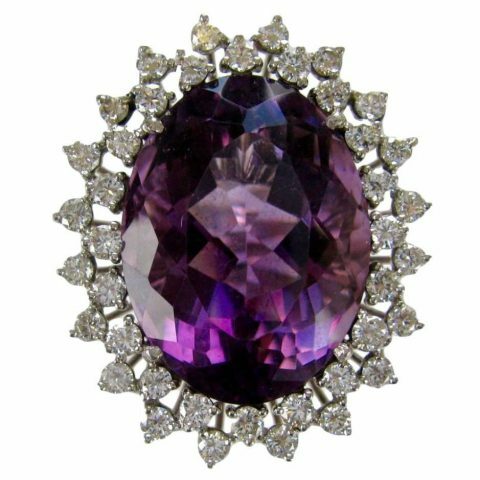 A pretty pair of earrings. Lightweight and comfortable. Very late 70’s early 80’s.